With projector and beverage facilities in this self-contained room. Our Soul Room is at the top of our old mill building with views of Gloucester Cathedral and Gloucester Rugby Club. With a flexible layout, this room can be set up with a board table to house up to 10 people, an open plan space or as a conference room to house up to 35 people. Catering is available from our contractors. Please give us a call to arrange your requirements. 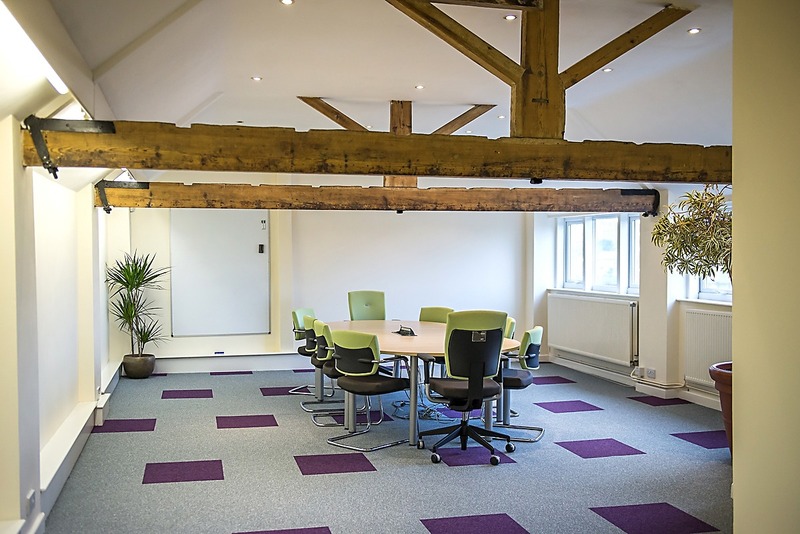 N.B: This meeting room is located on the second floor of an ‘old mill’ building. Unfortunately, we have no disabled access or lift facility.